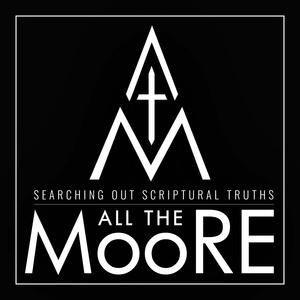 All the Moore - Blog - Need an Apology? The apostle Peter wrote to the members of the early church in 1 Peter 3:15-16 that they should be prepared to give reason for the hope that is in them, and the apostle Paul wrote to the church at Philippi in Philippians 1:16 telling the church that he was put here to defend the gospel out of love because God called him to do so. The word “defense” in these texts was translated from the Greek word apologia which means “to defend or give reason for” the way a defense attorney may present his argument of why his client is innocent or righteous in a courtroom setting. Both apostles were telling the Church that it should be prepared to defend its faith out of love so as to reflect the nature of Christ in order that others could also see why it had hope in times of suffering and despair. For this reason it is necessary for Christians to do the same today. The state of the fallen world we live in is in a constant state of turmoil, suffering, and despair as well as the incessant barrage of false teaching of contrary views of God. Apologetics is needed to bring faith and reason together to give evidences to unbelievers of why we have hope despite the circumstances of the world in which we live. Pascal said that men hate religion because of the fear that it may be true and that the remedy for this was to show them that religion or, more specifically, our belief in the God of the Bible is not contrary to reason. The writer of Hebrews was reasoning with the Jews in Hebrews 11:1-3 in order to create a basis for the belief that faith was founded upon their already held belief that God created the universe and because they then understood faith they could understand that faith in the Risen Lord saves them just as the faith their ancestors held in God and in the hope of the arrival of the coming Savior would save them. In 2 Timothy 4:2-5, Paul reminds Timothy that he must be prepared in and out of season because a day is coming when false teachers will enter the church and people will hear what their ears are wanting to hear. I would also suggest that due to man’s sinful and fallen nature he wants to hear things that suit his own worldviews and belief systems whether or not it is in-line with the laws of God. It can be seen from the very beginning in Genesis chapter 3 where the serpent twisted the truth for his own gain and also used Eve’s desire to disregard God created by her own free will and alternate view of God. The idea of absolute truth in our society has been traded in for a more palatable form of relative truth. This philosophy is simply the thought that one can find truth by whatever their heart or mind tells them is truth. In other words, truth for one individual may not be truth for another, and this is simply ought not to be so. For this reason alone apologetics must be practiced to give reason for the idea that there is absolute truth and then give reasons the God of the Bible as Creator of and Sovereign over all creation. Apologetics defends the teaching in churches to believers as well as to give reason for our faith to those who do not yet believe in our Lord. The apostle Paul reminds us of what the Lord told us in Romans 14:11 that there is coming a day when every kneel will bow and that every tongue will confess that our Lord, Jesus Christ, is God. Because of this we must seek out a lost and dying world with urgency, love, and compassion so that we may share and defend the gospel.